A few years back Aarhus were just home of small genre festivals + the main event for upcoming bands and the music industry (SPOT Festival). To really hit the summer crowds and feel those “life changing experiences” you had to leave the city behind. Suddenly it’s not like this anymore, NorthSide Festival seems to be here to stay – you hear people talking about new additions to the line-up in the streets and cafés, there’s a buzz going on, people are coming from far away. 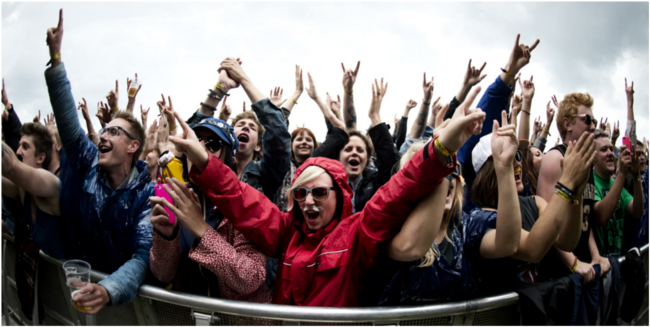 This year it even seems to be a serious contender for the big festivals in the country (Roskilde and Skanderborg). So what happened? 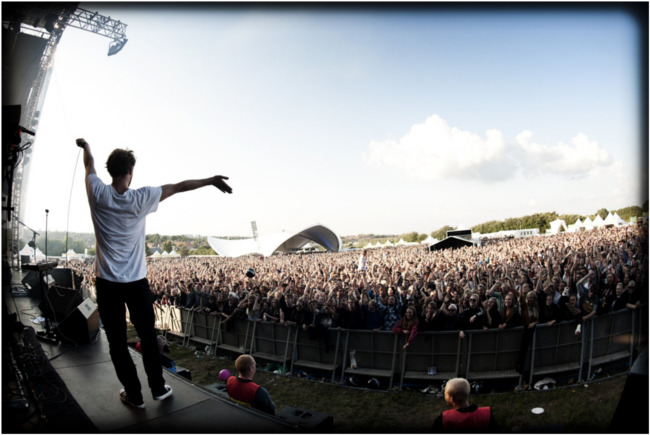 In 2010 it was still a small festival with only Danish bands playing. 2011 was the first year with the new location (Ådalen, a green area a few kilometers from the city centre), and bigger bands from abroad starting appearing. Last summer it grew to something unexpected with bands like Justice, Snow Patrol and The Stone Roses visiting. Then the headliners for this year started rolling in: Portishead, Nick Cave and the Bad Seeds, Arctic Monkeys, Band of Horses, The Flaming Lips and The Knife (…the list goes on, have a look at the website). Along with some of the safer names in Danish music, and a few rising stars (look out for Mø especially), they make this year the biggest and most exciting so far. The fans seem to agree – the festival has, as I’m writing this, just announced that the three day-passes are sold out. One day-tickets for Friday and Sunday are the only tickets left. What kind of festival is it? First of all it’s a “city festival” – there’s no camping area, so you need somewhere else to sleep, which isn’t always so easy in Aarhus. So be quick, and look for alternatives like camp sites or Couchsurfing. Also it’s not exactly a late night festival. The last concert starts at 00:30, but it should be possible to find a party afterwards – or just safe your energy for next day’s music that starts around 13:00. At the end a short critique. Though it’s definitely the best and most ambitious line-up for the festival yet, to be honest I find it a little too well-grounded in the past. The classic indie bands have been around forever, the newer headliners aren’t exactly new anymore – and the same goes for Scandinavia (The Knife, Kaizers Orchestra, Kings of Convenience) and Denmark (Kashmir, Trentemøller, Nephew). There are exceptions, of course, but they’re not dominating. In this way the festival is still a step or two behind Roskilde Festival, but if you’re looking for a three day-party full of youth, music and happiness (sun not guaranteed!) then Aarhus should be your next stop. It might be the best party this summer in Denmark!